With only one day to visit all the temples of Bagan, I decided to rent a e-bike from the hotel. Most places I inquired at sold a full-day rental of e-bike for MMK 8,000-10,000. But my hotel (Shwe Nadi guesthouse) had one for MMK 7,000 (approx $5). 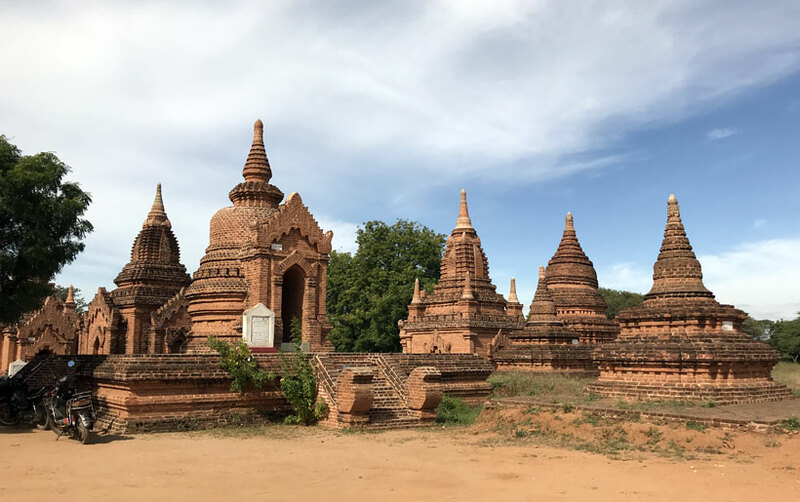 After breakfast at the hotel, I headed out to visit the temples of Bagan. There are multiple itineraries on the web (example: WikiTravel) that you can follow – take the north to south route or vice versa, depending on where you are staying. Follow the two main roads that run north-south and you will come across pagodas and temples along the way. It is very important you carry your ticket with you. It will be checked at a lot of temples, but not all. If you haven’t purchased a ticket before entering the area, then you will be charged MMK 25,000 mandatory fee. There are not penalties. The north to south, and back north loop shown above is the one I took, and you can freely visit most of the sights in one day. I stopped by for lunch at Aroma 2 restaurant, before continuing my south-east loop. Sunset – There are quite a few temples from where you can see the sunset, but I picked Ta Wet Hpaya Temple because it was the last on the list and not frequented by a lot of people. The climb up the temple to the dome is not difficult and can be done by kids as well. 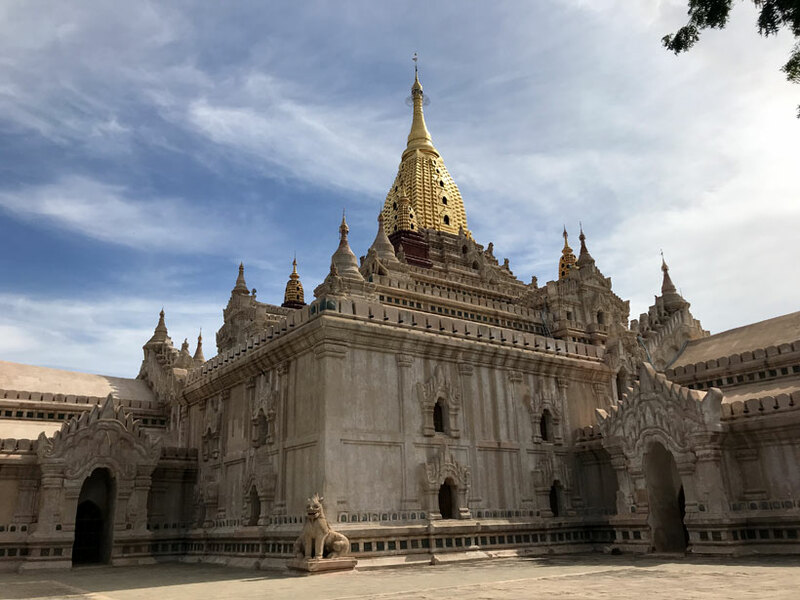 There are limited buses that travel from Bagan to Mandalay, so it is always best to reserve a seat at least a day before if you are on a schedule. Buses are either 18-seater or the luxury ones. It was about 7pm by the time I was back at the hotel. 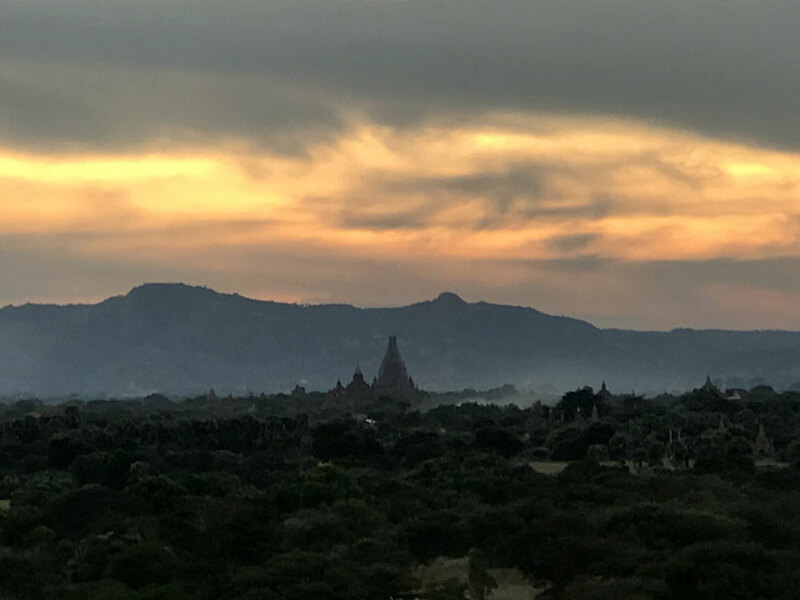 After a shower and dinner, I called it a day as I had to be up at 4am for the Baloons Over Bagan tour. Note: All values in USD, unless otherwise mentioned, are approximate and based on the exchange rate of USD 1 = MMK 1,350 at the time of publishing. Each cost is for one adult. E-bike Rental $5.18 MMK 7,000 from Shwe Nadi Guesthouse. Lunch $6.66 MMK 9,000 at Aroma 2 restaurant. Guava $0.37 MMK 500 from one of the road-side stalls. Souvenir $5.92 MMK 8,000 for a hand-made Buddha head in stone. Fridge Magnets $3.70 MMK 5,000 for 5 magnets. Snacks & water $1.18 MMK 1,600. Bus to Mandalay $6.66 MMK 9,000. One way. Dinner $2.96 MMK 4,000. At Cheri Land restaurant. 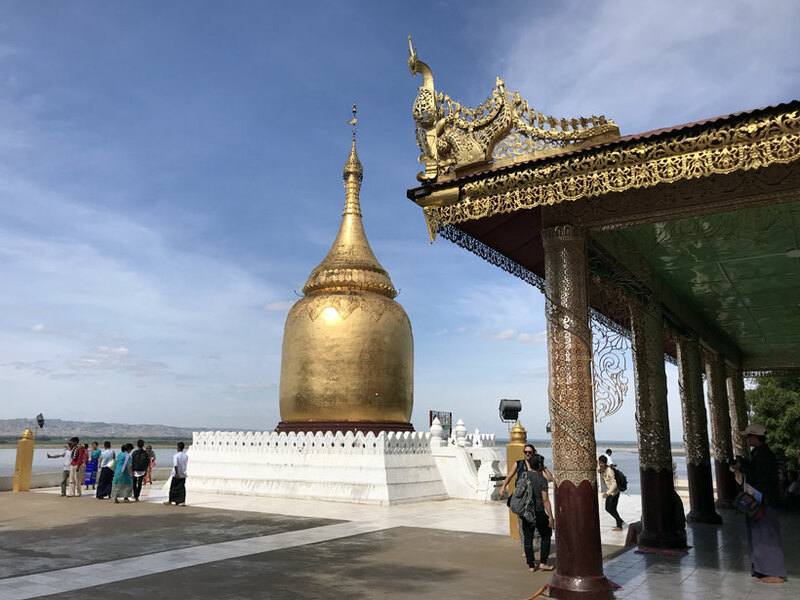 Shwedagon Pagoda, Bogyoke Park & traveling to Bagan. 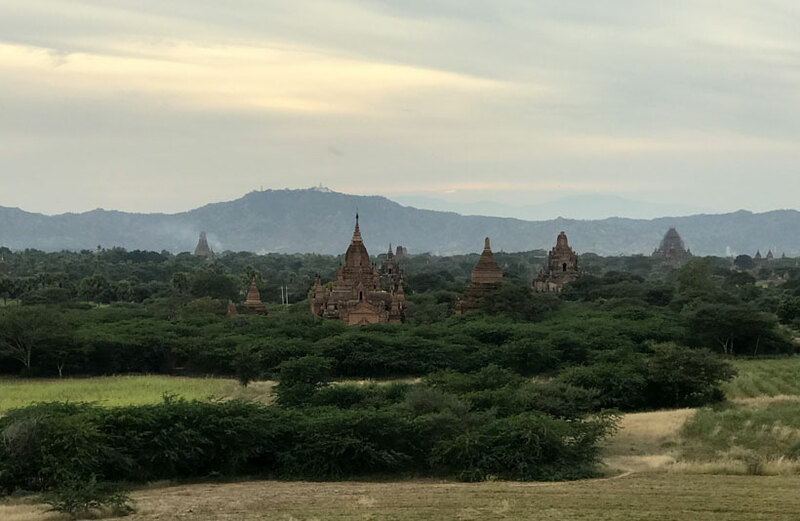 Visiting all the temples of Bagan. Bagan sights & travel to Mandalay. Arriving in Yangon & sights of downtown area. Visiting Mingun & U-Bein bridge. Sights of Mandalay & travel to Pyin Oo Lwin. Travel from Pyin Oo Lwin to Hsipaw by train. Travel from Hsipaw to Mandalay & Mandalay Palace. Travel from Mandalay to Yangon, onward to Kinpun. Visiting the Golden Pagoda in Kinpun. Travel from Kinpun to Yangon & flight out.